Attention to detail is key, but here are top 10 basic tips to get you started on organizing stand up paddle (SUP) races. Here we present the overall framework. But even more importantly is to have highly knowledgeable and competent individuals with complementary skill sets who can all contribute to a highly successful event. With that said, here are the 10 basic tips to get you started. What are you trying to get out of it? Obviously you’re trying to organize a stand up paddle race. But what’s your ultimate goal. This should profoundly inform how you do it. Below are just some of the many reasons people may want to organize a SUP race. To get it out of the way, if your goal is (a) forget about it. Apply to work at Wall Street, or at least direct your energy toward something more lucrative. To-date, there are nearly none (if even one person) who lives solely from organizing stand up paddle events. The best run events tend to break-even or run at a loss. And the only ones with a positive net profit seem to be fundraisers. With that behind us, truly consider your ultimate goal. If you’re aiming at fundraising, having the most participants is important, so you raise more funds. Plus, as a fundraiser, your event should have a very low-bar of entry in terms of skills required. After all, you want people to contribute to the cause and not have to showcase the greatest paddle skills in the planet. On the other hand, if you’re trying to make money and build a viable SUP race business with a focus as a media company, then attracting the world’s highest-profile athletes should be your prerogative. Prize money, an iconic venue, and stellar media production and distribution are the call. Whatever your objective, make sure it’s clear, so you increase your chances of success. In most (if not all) successful ventures, it takes complementary skill sets. So, assemble your crew. Find the person with thorough paddle expertise, who also has plenty of understanding about the stand up paddle community, whether local, national, or global. But that’s not enough. Find people with logistical experience, who can run the event efficiently, ensure all moving pieces are in place, and that “stuff is getting done!” Have also someone with the promotional mind, with contacts to key businesses, groups, or people whose support you need to succeed. And on it goes. People love when others think of them as having something to contribute. So, don’t be shy. Start by building your advisory committee. These are people who may not have the time to commit, but who can give you priceless words of advice. But then create the steering committee. These are the key people to make it all happen. These individuals should have the time, passion, and competence to bring a lot to the table and to help make things happen. Make sure they’re easy to work with, so you can all get things done. There was a time when SUP was exclusively related to surfing. Now, there are countless disciplines of stand up paddling, ranging from surfing, racing, fishing, yoga, river, etc. Add to it that races themselves can come in several flavors. Here are just some of them. These are just some of the basic formats. There is usually no set or accepted way of setting the buoys, but it’s usually best to keep the following in mind. First, the venue: set a safe course and within the regulations of the waterways in your neck of the woods. Second, try to make it spectator friendly. Today, SUP Races suffer from their legacy from outrigger and prone races. Competitors take off, spectators wave them into the horizon, and 1-hour+ later paddlers appear to cross the finish line. There is no reason why sup racing should be this boring. Set your buoys close to the shoreline, add a beach run in there to have competitors interact with the audience, and make it interesting. Here is a great example of creativity. Chris Brackett, who organizes the Race of the Lake of the Sky in South Lake Tahoe, comes from a family of competitive skiing and snowboarding. So he devised start gates, similar to those in downhill skiing competition and took his sup race to a whole new level. Be creative, safe, and make it fun! With that in mind, here are some of the most common sup race formats and how they go with board sizes. Package all these together and you have a widely common, recognizable stand up paddle event, with multiple sup races on offer. That’s the foundation. From here, lots can be customized to make it truly a unique event. Events can have varying themes (Halloween, Independence Day, …, Islander or Nascar). Vendor and volunteer profiles, fundraising beneficiary, targeted participants, and much more can all come together to make an event truly one of a kind. On the basics, everyone agrees. Have a water vessel, lifeguards, everyone on the same radio channel, and a medic. Make sure you also notify the water authority in charge of your waterways and have all the permissions required. Go to the city office. They usually can help you with the permits and point you in the right direction. Now beyond that, you should require everyone to wear a leash unless you’re running a river race. In the case of a river race, you should require everyone to wear a personal floatation device (PFD) and helmet. This is crucially important. REQUIRE EVERYONE TO WEAR A LEASH. Far too many people have died, including experienced paddlers, for failing to wear a leash. Have that as a rule. CLICK HERE to see more SUP Racing Tips. These can make or break your event. Start with venue. Say you’re running a fundraiser. Here you likely want high participation numbers. So, pick a user-friendly venue, with flatwater, little-to-no currents, clear of boat traffic, and with easy access to the water like a sandy beach with a great parking lot to back it up. By contrast, if you’re running your event as a business to create a media company, then you may want to have a highly technical, expert-only venue so you can deliver the shock and awe. In that case, make sure to line up your media production and distribution well, otherwise you’ll only have a few participants and the event will likely fall into oblivion. Participation and elite events tend to call for radically different venues, so make sure you line them up well. And beware of permitting costs. A permit at a California State Park like Doheny Beach can cost $50,000+ for a weekend event, while across the street at the city beach it may cost $500. Once you have the venue and the permit costs in place, pick a suitable format. Again, if you’re organizing a participation event, you’re probably better off steering clear of technical races in the surf and river. Pick a format that suits your objective. Having your event date conflict with other events can be a disaster. So do your due diligence and research. See what else is happening in your city, nationally or globally depending on the scope of your event. And don’t check only SUP happenings. See how your date may work with city permits, school calendar, other fundraisers in cycling, swimming, or what have you. If there is a conflict, contact the other event organizers, talk to the city, and hone in on a date and venue that works best, without splitting up your participants with another happening. And when you do pick a date and venue, try to stick to it. And work hard to ensure that others know about it, so they know better not to go head-to-head with you on that event. Too many events come and go. Paddlers and industry members are always seeking out the reliable events that have a proven track-record over the years. So, work hard to carve your space and avoid conflicts with other events. To run a legal event, you need insurance. The World Paddle Association and the American Canoe Association offer different insurance plans for not only event organizers but also participants. Once you have the venue and format of your race, contact these associations and get quotes for your event. Since they’re in the business of ensuring races, it’s an easier route to getting insurance for your event. You may want to reach out to other insurance companies and/or brokers in your area. Perhaps, the WPA and ACA do not offer insurance plans in your area. In that case, try to contact other action sports associations in your region and see if they have something available. Outrigger canoe clubs, kayaking schools, and other school programs are a great source of talent. Often times the youth is involved in groups that do charitable work, which helps bolster their college application. These can be a great source of talent to help you run the event, running the registration line, watching over the board storage area, directing people toward the bathrooms, helping with time-keeping, etc. Get a hold of the local paper, people within the group that will benefit from your fundraising event, local restaurants, and more. Many sup-races are sponsored by local restaurants, which want to have a bigger footprint in the community. And if they can’t sponsor, give them free booth space, giving participants a place to eat. Make sure you get your food license, so that an inspector doesn’t shut you down. Sadly, that has happened occasionally. Collaboration is pivotal for a successful event. Paddleguru is the registration website of choice for the paddle community. It’s easy to setup and can also add promotional value to your event, for paddlers are always there registering for events and may well come across yours. If Paddleguru is not available or does not comply with your legal requirements, you may try Ebrite and others. Even Paypal can be used to get people signed up before the event, with a simple copy and paste “Register” button from your paypal account to the event’s website. On location, if using PaddleGuru, make sure you have wifi and a few laptops running off a generator, so that participants can lineup and signup online right there and then. Often times, event organizers incentivize early, online registration with a discounted price and/or a tee-shirt, with the usual disclaimer that tees are available on a limited basis and on a first-register-first-get basis. As to pricing, high-participation events typically cost between $25-45 and elite races $100-$200. Since most sup events have multiple races, like short and long course, event organizers tend to offer discounted rates for multi-race sign ups, such as $60 for both short and long course races. That way athletes can compete in both. Alternatively, some organizers are offering SUPER PASSES at $60+ that allow paddlers to compete in all races in that event. 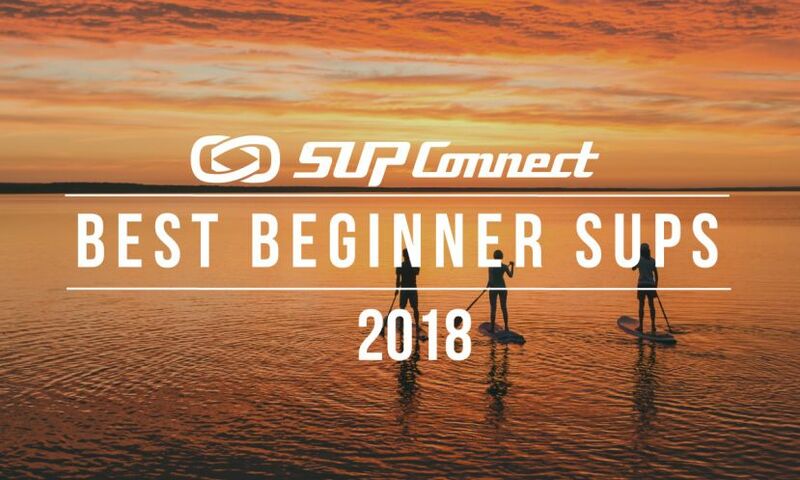 CLICK HERE to find a SUP Event near you! The Air France Paddle Festival in French Polynesia is among many of the events to have an active Facebook event page. Sell your event! Today, people have too many options for nearly everything. People rarely decide on anything without going online, checking out one’s website, and facebook page. If you know someone who can do it, great. If building a website is too daunting of a task, go to SquareSpace or Wix and build websites with simple drag and drop tools. If you have a little bit of a budget, contact our sister company i9media to build you one. Take the time to get some really nice graphics, line up beautiful photography and create a basic landing page. Your homepage should have a slider, a short message about the event, date and venue, and logos of the companies involved. Then create the following landing pages: about, schedule, courses, signup, contact. Create also a facebook page, invite your friends and family, and consistently upload some photos, letting people know more about the event, who is involved, the cause it’s benefitting, etc. If you follow these basic 10 tips for organizing sup races, you should be off to a great start. To see more SUP Racing Tips Click HERE. Did we miss something? What would you add to this list?